You are doing really well in your studies! Before we can begin learning about asking for directions, ordering food or anything practical, we must first learn a few numbers. 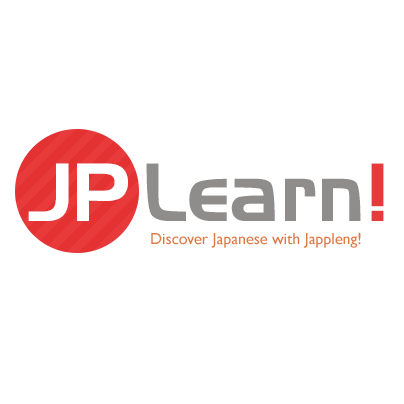 In the next three-lessons, we will be learning how to count in Japanese, elaborate on some tips for improving your counting ability, and we’ll go over some of the various Japanese superstitions relating to Japanese numbers. If you have studied our stand-alone lesson for counting in Japanese, we have made many revisions to this lesson and greatly expanded upon it such as including the Japanese hand counting gestures module. The Japanese number system came to be over 1,300-years ago when Chinese words were more prevalent within the Japanese language. Some numbers have multiple readings to them, meaning numbers like 4, is pronounced both “shi” and “yon” where both usually have a place and time to use them. Besides some numbers having different pronunciations for the same number, there is also something called counters. Counters relates to when referring to objects, people, dates and so forth. Saying that there is two of something is different than saying the number two. Saying that there are two round objects is different than saying there are two people. Likewise in Japanese, months are named with numbers. January would be “Month 1” or ichi-gatsu. Counters are learned progressively as they are introduced from topic to topic and while there may be dozens of different ways to count, it’s generally not as complex as it sounds and we’ll cover these counters throughout this course. Let’s begin with the very basics. In Japanese much like in English, saying that there is nothing and that there’s zero of something will mean different things. If you are counting and using the number 0 such as in a telephone number, you would use the word zero to denote zero. It’s not pronounced like in English, but it means the same thing. The second term for Zero is Rei. Rei has many usages for it from saluting to using it in the number system. Rei is also associated spiritually because the word itself represents spiritual wisdom in traditional beliefs. Rei is often viewed as not an exact number but something neutral, or that of which doesn’t exist. The number 1 is pronounced Ichi or sometimes as “ich” for short. You’ll often hear people say “ich” while doing their exercises. In Japan, the superstitious belief in the power of numbers is very common and in this instance, “ni” is believed to be associated with something that is easy. San represents the number three; it is believed to be a lucky number amongst Japanese folklore mainly because it comes before the number four which also means death. Seeing things such as “three’s a pair” is common in Japan. However there are some who believe that the number three is unlucky because in China, the number three is unlucky. As mentioned earlier, superstitions and folklore are fairly big in Japan and knowing about them could benefit you particularly when shopping. Shi is the number four and represents an important number in Japanese. It is commonly believed that it is considered an unlucky number because ‘Shi’ has the same pronunciation as death. The reason why this is important to know is because many apartments, airline seats, and hotels often skip the number 4 (along with 9 and 13 as we will discuss later). Because of this superstition, a lot of gifts are given as sets of three or five but will rarely be given as a set of four. If you have a negative experience shopping for a set of four in Japan such as a set of dishes, this is the very reason why. Alternatively the number four can be expressed with Yon. Yon means the same thing as four except they are both used in different scenarios and to answer the age old question “When do you use shi or yon to count in Japanese?” the answer is here. Shi is onyomi (音読み) while Yon is the kunyomi (訓読み) reading. When counting, even for months, you should use the onyomi reading. But if you are numbering such as saying there are x amount of y, then you should use the kunyomi reading.But there are many debates that surround this topic, some argue that you must use the kunyomi reading after 10, meaning 14 is ju-yon while others argue that it must be used once you pass 40 (while counting). There is no absolute rule to this, at least with numbers under 100. In some regions, the onyomi reading is preferred over kunyomi but in Tokyo, kunyomi is preferred.From 1 to 10 use onyomi, but beyond it you’ll usually use kunyomi. Go represents the number five and has no major associations to Japanese mythology nor does it have anything to do with the popular board game Go. Roku is the number six. Hachi represents the number eight. When nine is pronounced as ku, it can also mean suffering and just as before, many places ignore the number 9 or refuse to use the onyomi reading if they are tetraphobic (fear of numbers relating to superstition). Ku is also thought to be cursed with bad fortune because it has the same pronunciation as torture or agony. Counting by hand, the Japanese way! Now that we understand how to pronounce each number before 10, we could begin by mastering them or we could proceed to learn an invaluable counting technique that is often times never taught to people outside of Japan. Let’s hold off on mastering the numbers for a little bit by taking a break and learning how to count numbers on your hands the Japanese way. How do you count with your hands? If we were to guess, you would start with your index finger move up to your pinky and your thumb would be number 5 and then you repeat. Some people have developed or adopted other methods to count with their hands and Japan has their own take on it.In order to count in Japanese to yourself using your own hand, start with your palm facing up, all fingers out now like you are about to slap yourself. Now bring down each finger for each number starting with your thumb. Your thumb being the first “finger” that goes down will be 1. Your index finger will be 2 and so on until you reach five which is when your hand becomes a fist. To go beyond 5, raise your fingers in reverse order starting with your pinky. 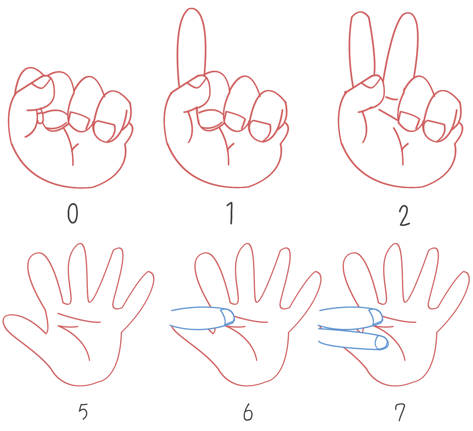 Your pinky becomes 6, the wedding finger becomes 7, 8 becomes your middle finger 9 becomes your index finger and finally 10 all fingers are raised. Unfortunately there’s some confusion here as 9 looks identical to the number 1 if you’re counting to other people, there is a different method to go about it.Hold out your hand up like you’re going to count again but use a fist instead of an open palm and face it towards the person you’re talking to. Start with your index finger and raise it for 1, now raise your middle finger for 2 and so on until you arrive to your pinky. For the number 5 simply have an open palm and for 6 bring your other hand over and cover your open palm with your index finger. 7 uses the index and middle finger, 8 raises the wedding finger then pinky. For the number 10 simply face both your palms open side to side facing the person you are talking to and you’ve counted up to 10 using two different hand gestures in Japanese! Now that we have spent time learning the theory behind the Japanese numbers 0 to 9 and the hand gestures up to 10, it is time to memorize them. In this section you will be presented with a printable chart to create your own flash cards and random number generators to improve your counting skills. There are many ways to practice counting and as mentioned before, numbers are tricky because in your mind you can have them easily memorized but in practice it is entirely different. What you will need to do is count up from 0 to 9 over and over again. Then when you feel confident, randomize the order with flashcards. Once you feel confident with that method, reverse the order from 9 to 0, you may do this at any point in time or however you like. We have found that this method is the most effective in learning how to count. Be sure to count as much as you can but unless you completely replace the counting language in your mind, you will be translating from your native tongue to Japanese and vice versa for a very long time as this is the nature on how our brain works. Don’t worry; you will see just how quickly learning these new numbers can be once you try. There are some new Kanji to learn in this lesson, but instead of learning all 10 new numbers, we will begin with the first 5. Start from the left and lead to the right. Do the same as 一 but begin with the top line making your way down. Do the same as 二 but instead mark 3 lines. This pattern as you may have noticed somewhat resembles the roman counting system. This one is a little more complex with 5 strokes. Start at the top left making your way down. Then return to the top left and follow the box-like stroke to the right and without letting go continue down 90 degrees to the bottom of the box. The third stroke begins at the middle top where you should bring your stroke down to the left-middle of the box. The fourth stroke will be almost a corner-box to the right starting from the top to bottom. The very last stroke comes from the bottom left to close the box. The first stroke begins at the top from left to right then follow from the top middle down wards creating a shape that resembles T.
Thereafter complete the h looking pattern from left to right, and then move your stroke from left to right for the final stroke at the bottom. These random number generators will help you improve your ability to count in Japanese. Once you know the number, click NEXT and a new number will appear for a limitless supply of numbers from 0 to 9. We have English to Japanese and Japanese to English. This lesson is very important and may take some time to get used to. Numbers can be a little daunting but we’re getting the most difficult parts about the language out of the way so that it becomes our foundation to knowing the language. Once you can count these numbers in Japanese and know their meaning, you may proceed to the next lesson to continue learning more about counting. Please be sure to complete the homework assignment as there are new hiragana and kanji characters to learn.